Ellen DeGeneres admits it wasn't easy when she came out as a lesbian in 1997 and she was hurt by some people's reactions to her sexual orientation. Ellen DeGeneres found it difficult to cope after she made the decision to come out as a lesbian. The talk show host revealed she was gay in 1997 and even though she mainly got a positive reception for her decision, she was hurt by some people's reactions. She said: "I didn't think it was going to be that much of a surprise. What hurt was this: Does that label, that word, change my talent, my kindness, my heart, my intention for entertaining people? The bottom line is as simple as this, my feelings were hurt. I just gave up and moved to Ojai (in California) and sat in my house as long as I could until I ran out of money. Then I started over again." 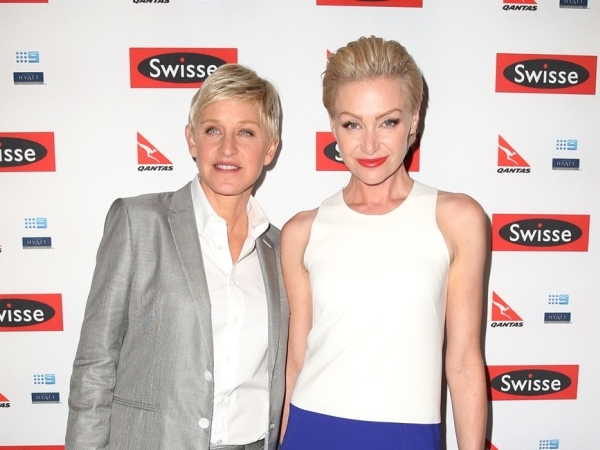 Ellen - who is married to actress Portia Di Rossi, and is one of the most powerful people on American TV - says she feels so distant from that time now it almost doesn't feel like it was her life. She added to People magazine: "Looking back, I did feel isolated, I did feel rejected, but now I look at it as a movie that I saw that someone went through. I only experience the amazing life that I have right now." Ellen (56) also revealed she is not funny all the time just because she is a comedian and witty talk show host and likes to have peace and quiet when she's at home. She said: "I'm so blessed in many ways, but I'm not always funny. I'm not always happy. I'm a human being, I don't want to be expected to be funny all the time. It's not real. I'm constantly learning and growing and trying to be better ... Talking for a living makes you really, really love peace and quiet. When I'm done for the day, I like quiet. I talk all day long, so driving home I don't' talk. I just listen to the radio ... Sometimes Portia and I sit and talk or go for a long walk with the dogs. I try to be quiet and meditative before bed."